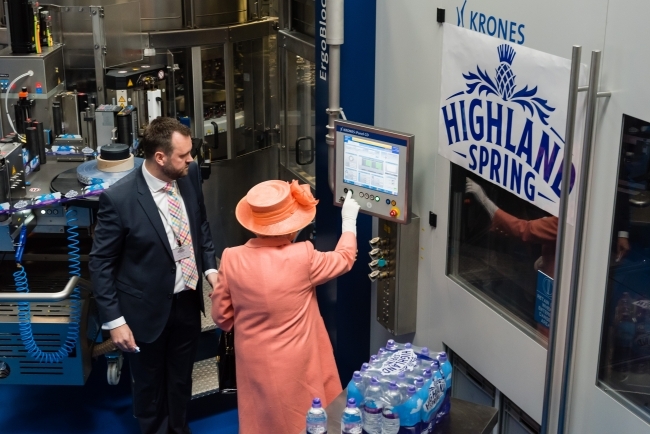 Her Majesty The Queen has visited Highland Spring Group to open its new factory building and state-of-the-art production line at Blackford in Perthshire. 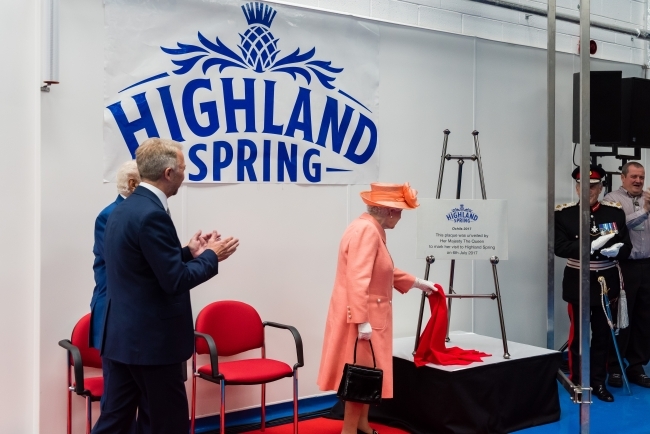 Les Montgomery, Chief Executive at Highland Spring Group, commented: “Her Majesty The Queen’s visit commemorates the opening of our £30m factory extension project, the biggest investment in the history of Highland Spring Group and one that we are proud to celebrate with over half of our 500 staff members on site today. Highland Spring Group has named its new factory ‘Ochils 2017’ in honour of its 2,000 acre, privately owned catchment area in the Ochil Hills. Certified organic by the Soil Association, the land is free from pollution, pesticides and habitation to ensure the water is as pure as it can be.